Beani Bazar Cancer and General Hospital have started the New Year with a bang. Alhamdulillah, we have been super busy and active with our charity. The hospital itself has delivered its first baby by C-section and we are all overjoyed. The hospital services provided to the less fortunate people of Bangladesh has been busier than ever and we are taking in more patients and providing an initial diagnosis. We are continually holding Free Medical camps through Donor and Trustee sponsorships and are now visiting various districts of Bangladesh. up their free time to partake in our fundraising and hospital events. We are very pleased with the different crowds coming forward to help grow BBCGH, spreading our services and the main objectives of having this hospital. 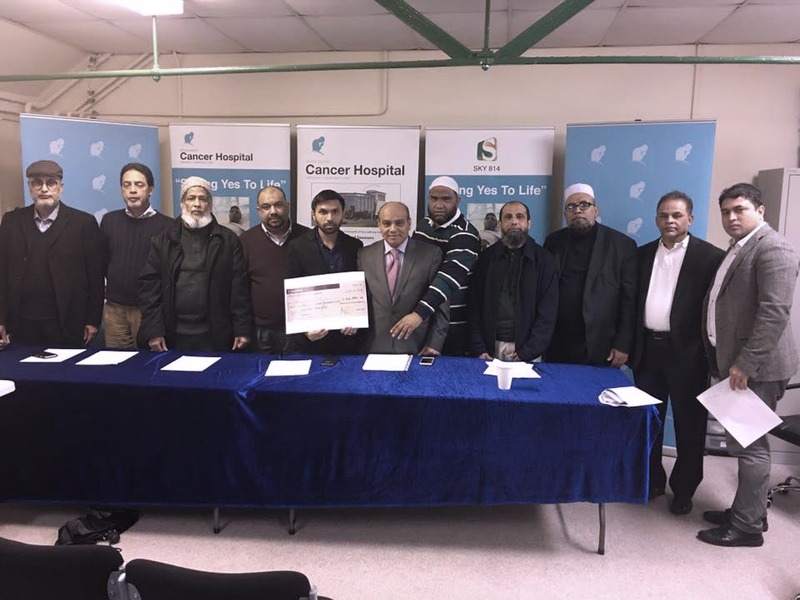 Our highlight of this month was handing over the final cheque to Momenul Haque. It was a very proud moment for our hospital as it was the first case we have taken on to help someone in the UK suffering from cancer. Many people turned up to show their support and be part of Mo’s story. We hope we have made Mo proud as we are rooting for him to combat cancer and wish him all the best on his journey. The hospital itself has also seen an increase in the number of patients coming in for treatment or initial diagnosis. The people of Bangladesh are more confident in us and we are always open to help where possible. More referrals are also being made through the medical camps and from the UK to Bangladesh. Our hospital is a legacy built for a lifetime and it is important that we continue bringing in funds to keep our crucial services going. If you would like to know more about how you can help please do not hesitate to get in touch. We will be delighted to have you on board.